Who's Afraid of a Built Green House? - TRF woodcrafts Ltd. When it comes to Real Estate we all want to be that savvy, knowledgeable buyer, or at least appear to be. Let's be honest though, a lack of knowledge or where to find the information we seek makes some of us fearful because we know "not all houses are built the same". Keeping up with all the potential changes to the building practices in your area can be challenging, if not downright confusing, but luckily the internet can be a valuable resource, as can talking to your potential builder and the list of references you will ask that builder to provide (hint, hint!). Recently, houses advertised as being built in a "Green manner or Built Green practices" are showing up everywhere, another thing to add to our already overwhelming amount of information we buyers need to know about. But what, really, is a true Built Green Home? Simply put, a Certified Built Green Home is one that has been constructed by a Certified Built Green Builder using building practices which address issues of energy consumption, air quality, carbon footprint and sustainability. Much of these things are achieved by varying levels of building methods which, for the most part, lay hidden beneath all the finishing touches we see when we look at a home. So two homes that "look very similar" can indeed be "built very different" and operate very different as a result. A home advertised as having "Built Green Applications" may operate very differently and may not achieve the very practices a Certified Built Green Home promotes and strives to achieve. A true test of the quality of your home, any home, is done by a Certified Energy Advisor. Asking a series of questions about the materials and methods used in the construction of a home, along with a door blower test, a rating is determined for the performance of that home. The rating will let you know how well built a home is, what the quality of the indoor environment is, and give a buyer (or curious homeowner) a great idea of what they are living in and what the cost of operating that home will be over the year. With or without the help of professionals, the responsibility is still on the buyer to be knowledgeable to some degree, ask the right questions and do their research (references, hint, hint!) 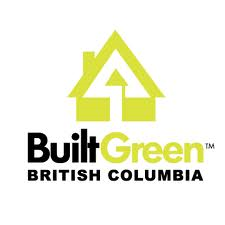 As not all Real Estate Agents are familiar with all the Certified Built Green practices your best resource for getting answers to your questions is from the Builder themselves along with the EnerGuide report for a home as well as the Built Green Checklist that a Certified Builder will have filled out. For many of us buying a home still remains our single biggest lifetime investment. It can be stressful but in the end it should be exciting and rewarding. "no one needs to be afraid of a Certified Built Green Home"